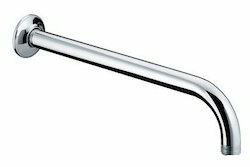 R.S Industries is the leading Manufacturer and Supplier of premium quality PTMT Shower Arm With Flange Chrome Plated size 225mm. We provide Best quality S.S. SQUARE SHOWER ARM with amazing quality and finishing . 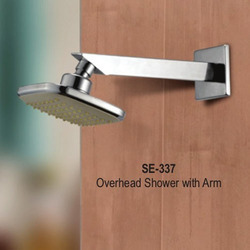 Sanya SS 202 Grade Shower Arm, Dimension/Size: 18"
स्टेनलेस स्टील 202 ग्रेड शावर आर्म, आयाम / साइज़: 18"
- Elbow - 12" / 15" / 18" / 21"
Keeping track of latest market development, we are devotedly engaged in providing an extensive range of Brass Shower Arms.